Dr Sankaran Natarajan, Executive Vice President of R&D, Sami Sabsina. Bengaluru: The Sami-Sabinsa Group’s Executive Vice President of R&D and Senior Advisor Dr Sankaran Natarajan was honored by the Indian Association for the Study of Traditional Asian Medicine (IASTAM) with the Shri Gopaldas Parikh Award for Contributions to Drug Development. 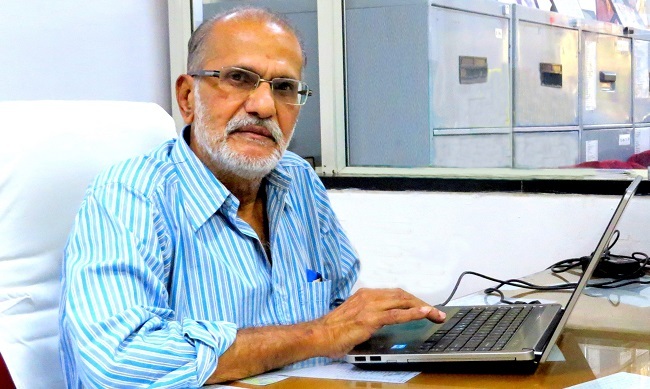 Dr Natarajan, who has been with Sami-Sabinsa since 1996, worked closely with company founder Dr Muhammed Majeed in establishing the company’s R&D division in 1998. He has played a major role in developing many of Sabinsa’s nutraceutical and cosmeceutical ingredient products, from the R&D stage through to production. After receiving his PhD from Presidency College in Madras, India, he did Post-Doctoral research at the University of North Carolina, Chapel Hill, Duke University, Durham, North Carolina, and Stanford University in Stanford, California. He has over 50 publications and 20 patents to his credit. His expertise includes synthetic & organic chemistry, natural product isolation & characterization, development of analytical methods, and scaling up of products from the lab to the industrial level. “Working with Dr Majeed, I was able to lay down the foundation for modern nutraceutical research and various aspects associated with that,” said Dr Natarajan. IASTAM, a multidisciplinary organization established in 1981, is committed to studying and promotion of the Indian Systems of Medicine, AYUSH (Ayurveda, Yoga, Unani, Siddha & Homeopathy) in national and global health and medical care. IASTAM provides an interdisciplinary platform to bring together scientists knowledgeable in traditional systems of medicine for integrative dialogue with other disciplines and policymakers to develop and strengthen value for its effective use.